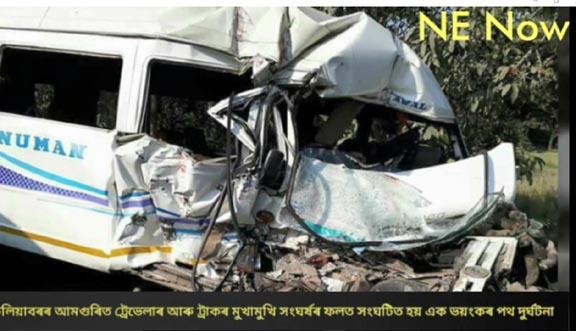 At least four persons were killed and nearly 14 others injured when a Traveler bus collided head-on with a LPG cylinder carrying truck at Amguri under Kaliabor police station in Nagaon district on Thursday. Locals said the Traveler (AS-02-AC-2739) collided with the truck losing its control while moving over a speed breaker on NH 37. Reports received here said the deceased were passengers of the bus, which was going from Nagaon to Jorhat. The injured passengers, including children, were rushed to nearby hospital and condition of several of them was stated to be serious.